Heading to Japan for my second teaching practicum! Tomorrow I will be flying to my home country Japan, for the first time since I moved to Canada with my family more than seven years ago. For the next six weeks, I will be a student teacher in a grade one/two class at an interenational school in the beautiful ancient city of Kyoto. Since I postponed my practicum so that I could work for an extra three weeks, I have been hearing from my friends who are already teaching in my education program about how great their placements are going, and I just can't wait to get started! Since I will be teaching at an IB (International Baccalaureate) World School, everything I teach will be taught through an inquiry-based appraoch. From weekly Skype planning sessions with my mentor teacher, I've realized how differnent teaching in this way is, compared to other more conventional approaches I've been learning about in my classes. Learning all about the Primary Years Program has definitely been an eye-opening experience for me. I can't wait to see it in action! Anyways, I should get back to finishing my packing. 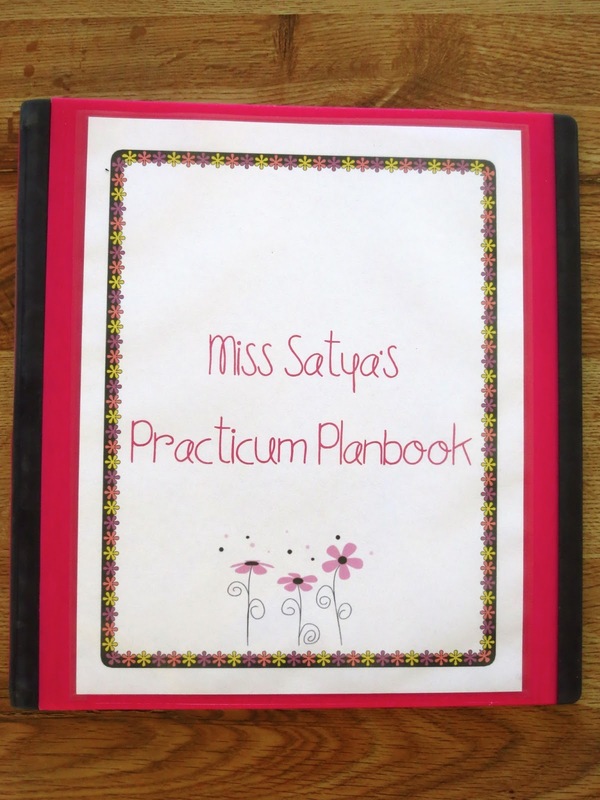 In this blog, I will mainly be writing about the activities and lessons I teach during my practicum. I might even post some pictures I take during my stay in Japan, since I will be exploring the kansai area over the next three months. Stay tuned, and wish me luck! Last week I went to a Kindergarten class at a local elementary school. 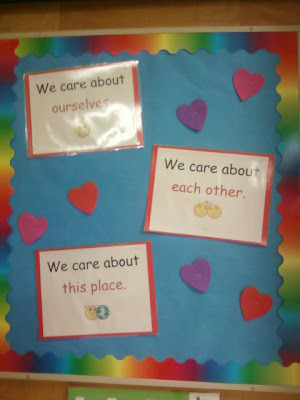 The teacher I worked with shared with me a way to create a caring classroom environment. She said that she teaches a unit on caring at the beginning of the school year, and refers back to it throughout the year. What she teaches can be easily connected to the Prescribed Learning Outcomes of Health and Career Education in the BC curriculum. We care about ourselves, each other, and our place. In the three categories, children explore different ways they can take care of themselves, each other, and the places they are in. For example, "taking care of ourselves" could include dressing appropriately for the weather, or eating healthy food. "Caring about each other" could entail sharing materials or toys during work time or centre time, and "caring about our place" could be about keeping the coat room or the cubby area clean...etc. The slogan is actually used as a school belief system at another local elementary school as well. This chart shows various places and situations where this slogan can be connected to. After exploring the three categories, the teacher explained that she would catch the children doing things throughout the day which fit under one of the categories of the slogan, and take pictures of them. For example, there might be a picture of students sharing pencil crayons or cleaning up after lunch. Afterwards, the teacher would print the pictures out, put captions and symbols along with the pictures so that the Kindies could understand, and create a classroom book for the students to look at! Since the "Caring Book" was placed in the classroom book shelf, students would take turns reading the book with each other during reading time, which reinforced the idea throughout the year. I imagine that the kiddos would be quite excited to see pictures of themselves in the book! On another note, I'd also like to share with you a cute line-up song the teacher used in the classroom. She told me that while dealing with the little ones, she realized over the years of teaching that using music and singing with them seemed to reach them more effectively then simply talking to them. This song is sung to the tune of Gilligan's Island. For more songs like this, Piggyback Songs for School Days has some great songs for primary grades, which fit right into the school schedule. 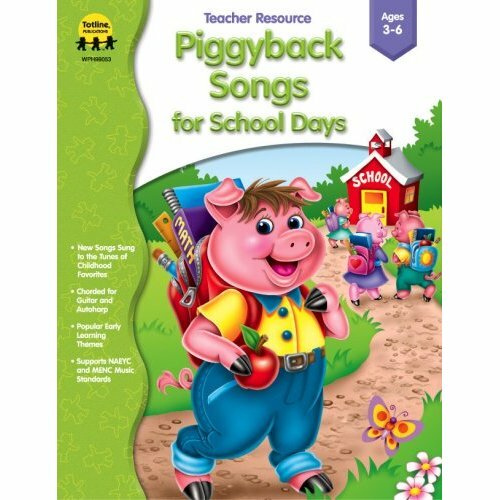 There are tons of songs with themes related to the BC curriculum, and effective transition songs as well. All the songs are chorded for those who play the guitar! I've ordered a copy for myself from Amazon and can't wait to get it in my mail! Well...I'm going to go back to studying for my math final exam I have tomorrow :( Looking forward to working in schools every day starting Wednesday though! 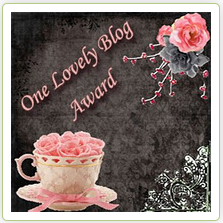 I'm sure I'll have some more ideas to share here! End of First Practicum and Titanic Jeopardy Lesson Freebie! Last week on Friday I had the last day of my three week practicum. Although I was relieved that I was finally able to relax afterwards, it was sad to say good bye to the students I had gotten to know over the weeks. To put a closure to the time I was at the middle school, I ended my poetry unit with a poetry cafe event where the students each chose one or two poems to read which they had written throughout the weeks. For the poetry cafe, I got the students to bring in treats to create a cafe atmosphere, and played some calming instrumental music in the background. To go with the whole cafe theme, every time a student finished reading, we all snapped our fingers which helped create the mood. We also had a student be an MC, which he did an excellent job doing! Here was one of the treats the students brought in for the poetry cafe on the last day of student teaching! Last week I taught a Jeopardy lesson on the Titanic which I'd like to share with you today. It's a one time lesson that doesn't require any background information from the students, so I think it would work well for substitute teachers teaching any grades between four to seven. The lesson is started with a picture or a short video related to the Titanic as an attention grabber, followed by a discussion on what the students already know about the topic. The class is then divided into two teams. There are strips of paper with facts written about the Titanic posted on the walls of the classroom. Students have a short period of time (I initially said 5 minutes, which I think ended up being too long...3 to 4 minutes should be enough for grade sixes) to memorize as many facts as they can. All of the questions in the game will be directly taken from the facts posted on the walls. Once the time is up students return back to their groups and decide on a speaker. Only the speaker is allowed to state the answers to the questions. The teacher takes off all the facts from the walls. After playing the Jeopardy theme song, the game starts! Each group will take turns selecting the categories and answering questions. Only the speaker can answer the questions. The team members will therefore discuss the answers to decide what the speaker will say. If one team gets an answer wrong, the other team can steal half the points if they get the question right. Each team has 30 seconds to answer each question. *An optional Final Jeopardy session can also take place for the final round, where each team decides how much they will wager for the final question. The grade six students absolutely LOVED this lesson and I had so much fun teaching it! The great thing is that this lesson can be adapted easily for other subject areas or topics as well, especially as a review activity at the end of pretty much any chapter. Here is the lesson plan, along with the facts to cut into strips of paper to post onto the walls of the classroom, the questions and answer key, and the Jeopardy category sheet. Enjoy! 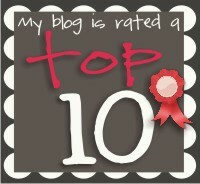 The last two weeks have gone by so quickly! It's amazing how time passes by so quickly when you're busy doing something you love! After the first three days, I've pretty much been teaching every day and am gaining a lot of hands-on experiences. I'm so lucky to be able to do my practicum with such supportive staff and amazing students! Today I'd like to share a lesson I taught as part of my poetry unit which I got a lot of good reviews on! 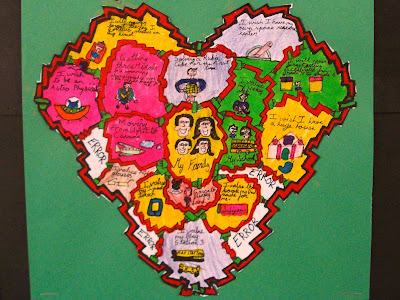 They are called heart maps, adapted from the idea from Georgia Heard's book, Awakening the Heart which has loads of useful ideas on how to teach poetry. The heart map is a great way for students to get in touch with their emotions and realize what makes life meaningful for them. It's also a useful tool for students to go back to during the school year when they can't think of topics to write about. I introduced the activity by telling the students that they will be making maps of their hearts. None of the students had ever worked on this activity before, and seemed very curious. I told them that their heart maps would represent different things that they care about, memories that have stayed with them, qualities that make them special or unique, or experiences which have shaped how they are today. What was the most fun you've ever had? What people/objects/activities are important to you? What has really affected your heart? What secrets have you kept in your heart? What are some experiences or central events that you will never forget? My practicum is finally starting tomorrow! For the last couple of weeks life had been quite busy with final assignments, projects, and exams, but now the good stuff starts! I'm so excited to finally be able to be in the classrooms. 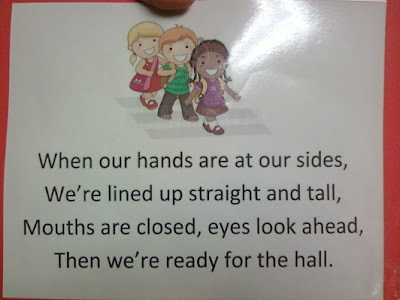 After spending the first day on an introductory lesson on poetry, students will begin making personal connections with various poems they find which they can relate to. To explain the three different kinds of connections, I will use a poster which will hopefully help them understand how to make such connections, and the differences between the three types: text-to-self, text-to-text, and text-to-world. After I model how to make such connections through a think-aloud, the students will work on making their own connections, then sharing their thoughts with partners. I'm going to use the form below for the activity. I will be teaching this lesson towards the end of this week so please let me know if you have any suggestions or advice on improving the lesson. Thanks!